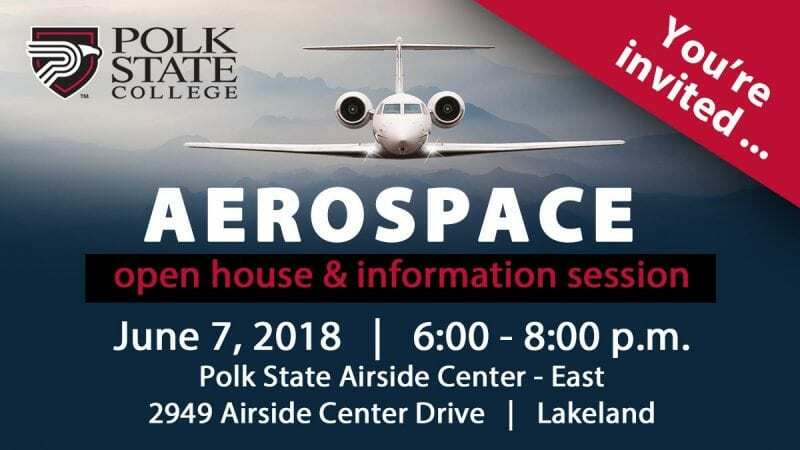 Polk State College’s Aerospace Program will host an open house at Airside Center – East in Lakeland on Thursday, June 7, at 6 p.m. to provide prospective students with information about degree options, admission, financial aid, and more. Guests will have the opportunity to meet with College faculty and staff, and tour the facility at 2949 Airside Center Drive. Polk State Aerospace is a quality, cost-effective program that utilizes a state-of-the-art, future-focused approach to training modeled around the real-world operations of the modern Aerospace industry. 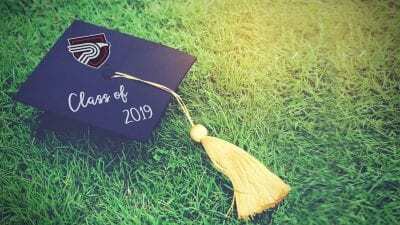 The program offers four degrees, including Associate in Science degrees in Professional Pilot Science, Aerospace Administration, and Aviation Maintenance Administration, and a Bachelor in Science in Aerospace Sciences with concentrations in Aerospace Administration and Professional Pilot. 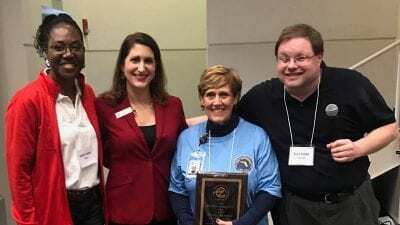 And with educational partners including JetBlue, ExpressJet, Lakeland Linder Regional Airport, Central Florida Aerospace Academy, Sunrise Aviation, and Sun ‘n Fun, there are a variety of opportunities to receive hands-on, real-world experience. Open house guests will have the opportunity to meet with representatives from these industry partners. Since Polk State Aerospace launched in 2013, the program has experienced much success, including job placement for its graduates thanks to industry partnerships, valuable study abroad opportunities, and authorization from the Federal Aviation Administration to save students thousands of dollars in flight-training hours. For more information about the Aerospace Program and the upcoming open house, contact Aerospace Program Director Eric Crump at ecrump@polk.edu or 863.298.6858.